They say that Christmas is a time for goodwill to all men, but when animals are the love of your life it has to be extended to them too! We definitely spoil Boo and Maddie, there’s no disputing that. They’re a huge part of our family and Christmas is definitely time to show them how much we love them (just like every day!) 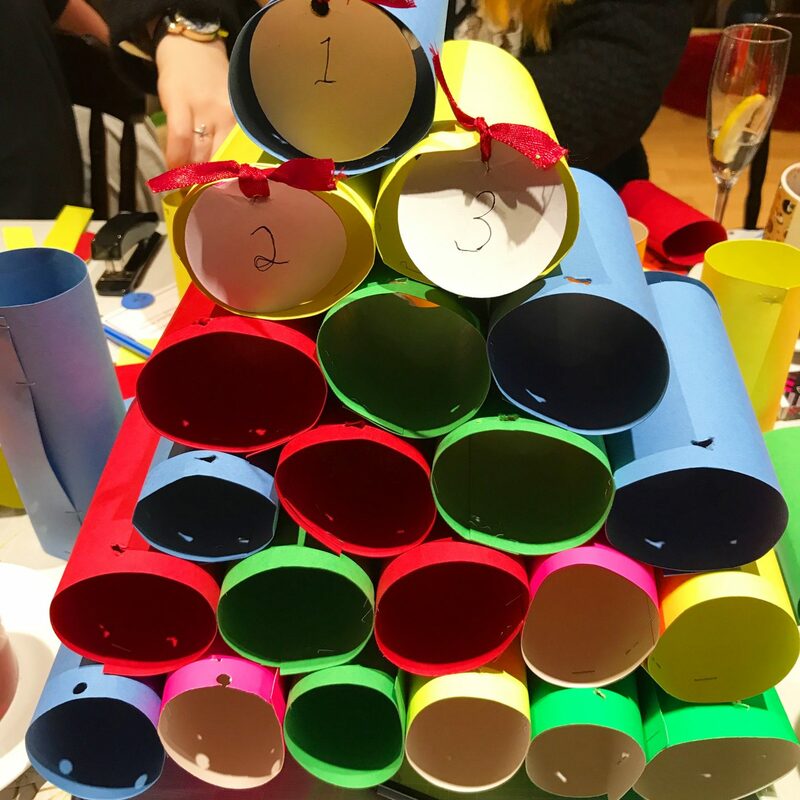 I recently spent an evening at Lady Dinah’s Cat Emporium in Shoreditch and made an advent calendar for Boo. As you do…let me tell you more. When the invite came in, I jumped around the living room like a little kid. 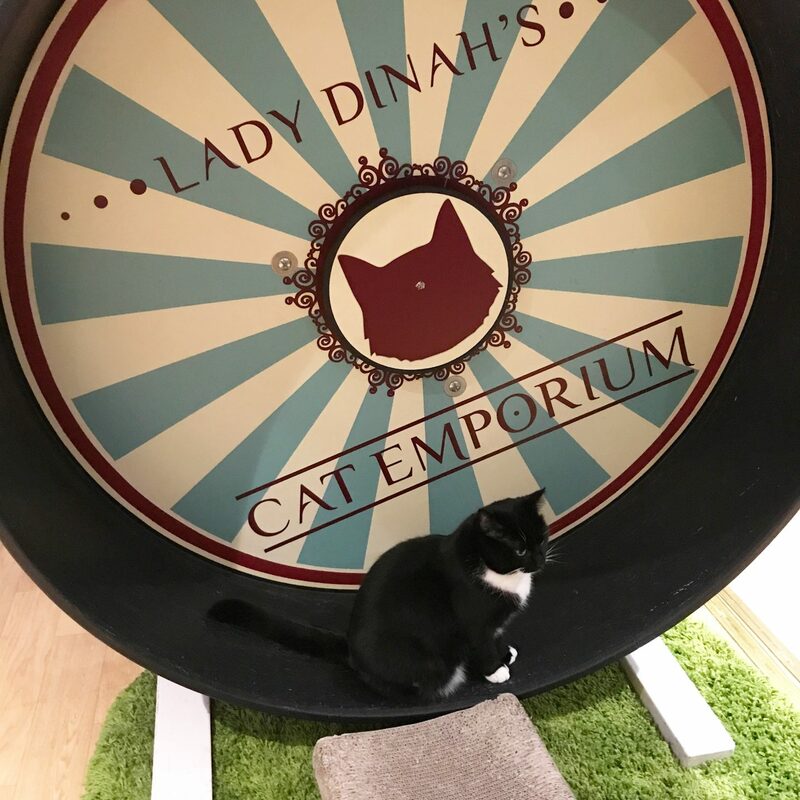 Lady Dinah’s Cat Emporium has long been on my list of places to visit. 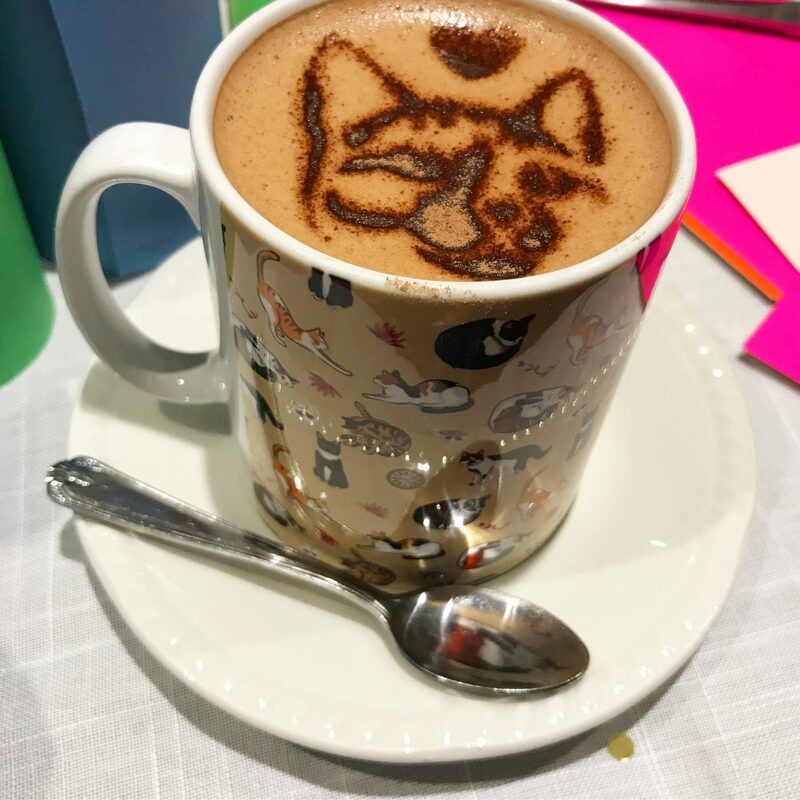 It’s essentially a lovely tearoom that’s also home to some fabulous felines. With an amazing Alice in Wonderland theme set across two floors, it was debatable if we’d get round to the task in hand. The cats are adorable and all very definitely with their own personalities. This is Lucy who loves to run round the wheel so long as she has an audience. 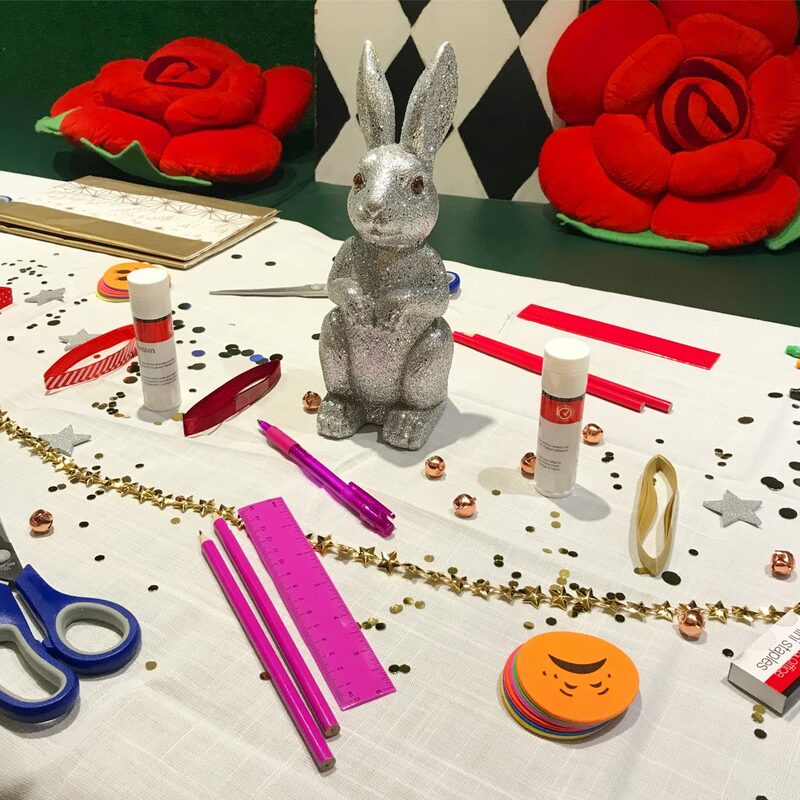 Taking over with a crafty evening, More Th>n insurance made sure we had everything on hand to make a little present for our own furry friends – check out the #MORETHANCatvent hashtag on Instagram. I have to admit, crafting makes me a little nervous. I’m not good (or patient) with following instructions. Especially with time pressure, although it’s probably a good thing otherwise I would take months. 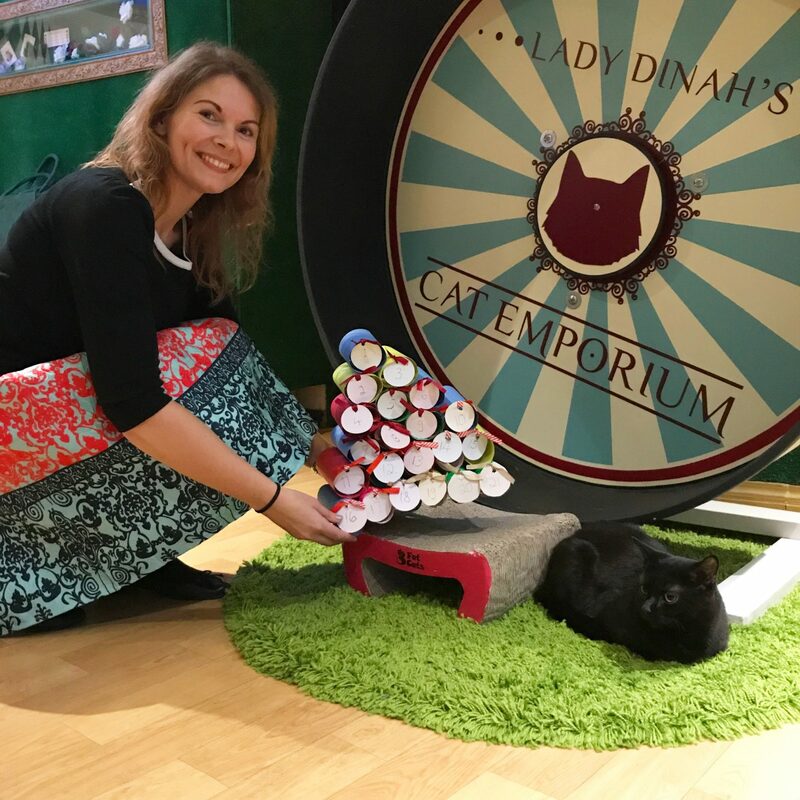 The first task at Lady Dinah’s Cat Emporium was to take some card and cut it into a size to roll into a toilet-roll type tube, the edges being stapled together. With the aim of making TWENTY FIVE! Yes, not terribly realistic in two hours! Needless to say I abandoned perfectionism and ended up with 21 tubes, all different sizes. But I figured that Boo would never know. Once the tubes were all ready, we had to hole-punch one hole into the top, to tie a door with ribbon. 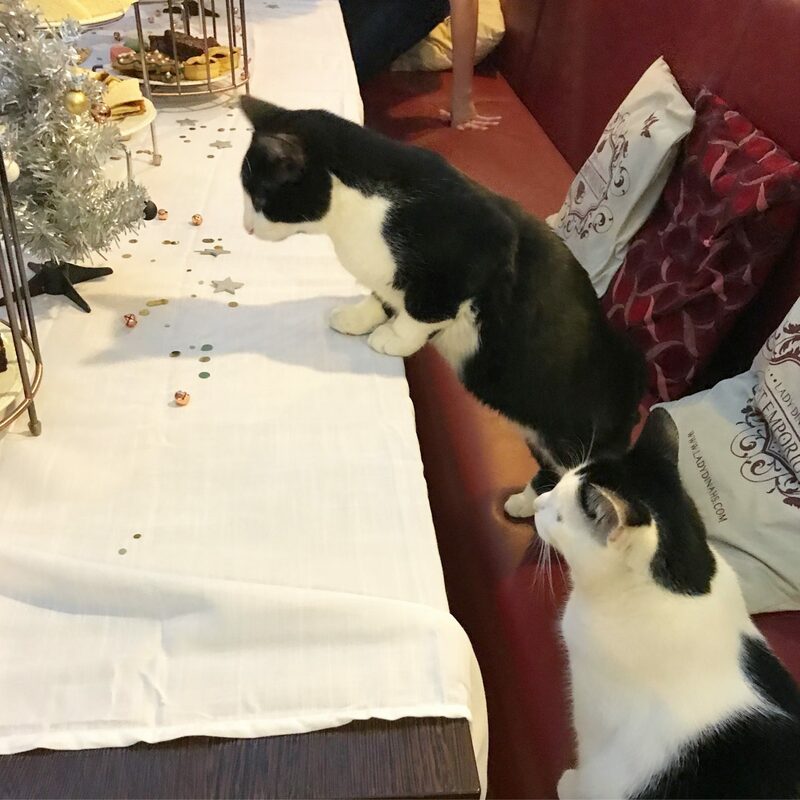 Essentially so our little cats can pop their paws in to find the treats. Again, sometimes you have to throw caution to the wind. Scissors also make very good holes so long as you’re careful. 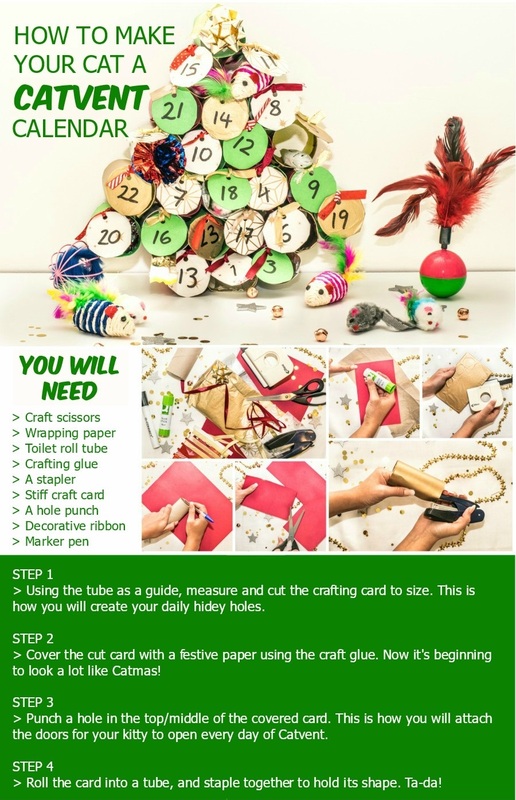 Finally the aim is to arrange your tubes in a Christmas tree-style shape and staple (or glue-gun) them together. In an ideal world I’d have thought more carefully about colour co-ordinating mine to make it look a little more festive. We ran out of time to decorate. But still, a triumph indeed to actually complete it up to a point. Boo won’t know that there are a few days missing after all. The difficulty I now have is that Maddie is a little possessive and thinks that everything belongs to her. They’re exactly like two little children! 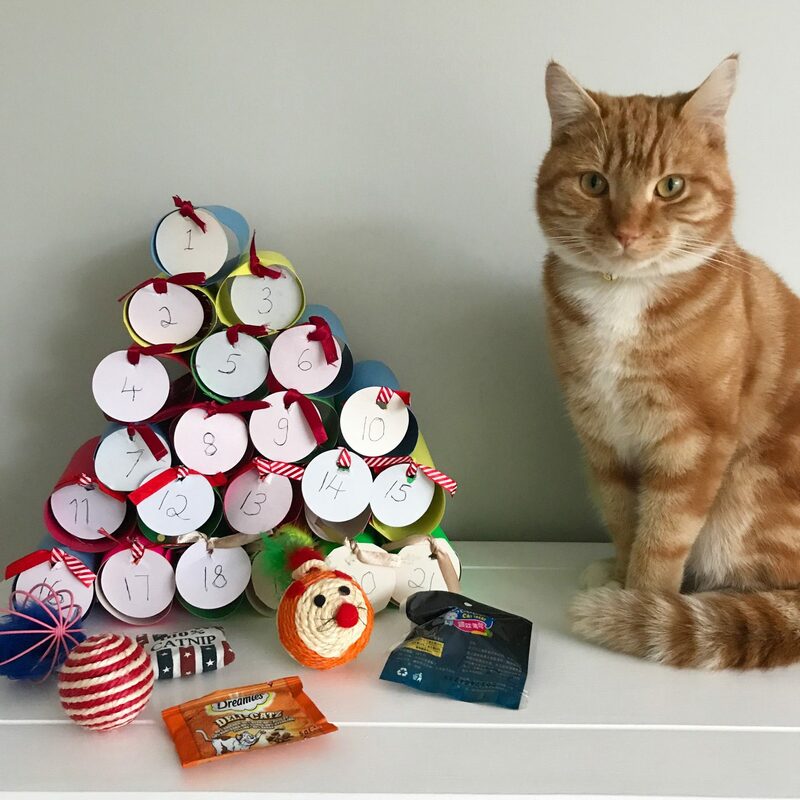 And what does Boo think of his catvent calendar? I think he’s quite impressed! 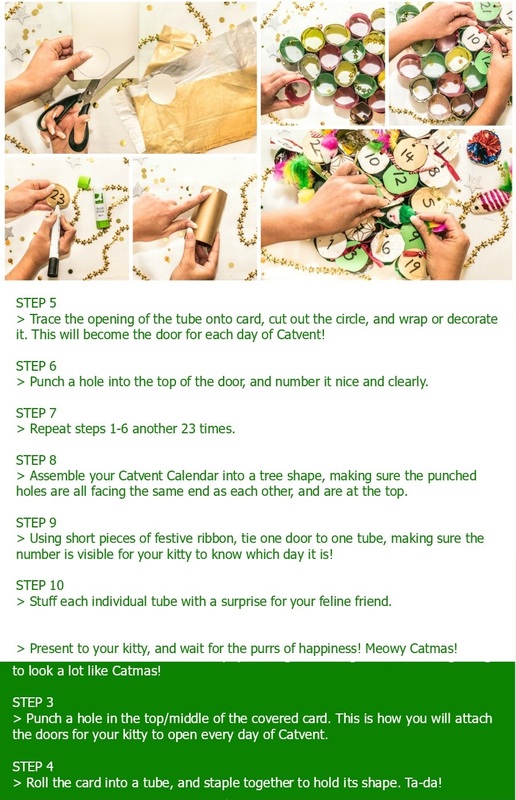 If you’d like to have a go at making your own catvent calendar, here are some handy step-by-step instructions to follow. 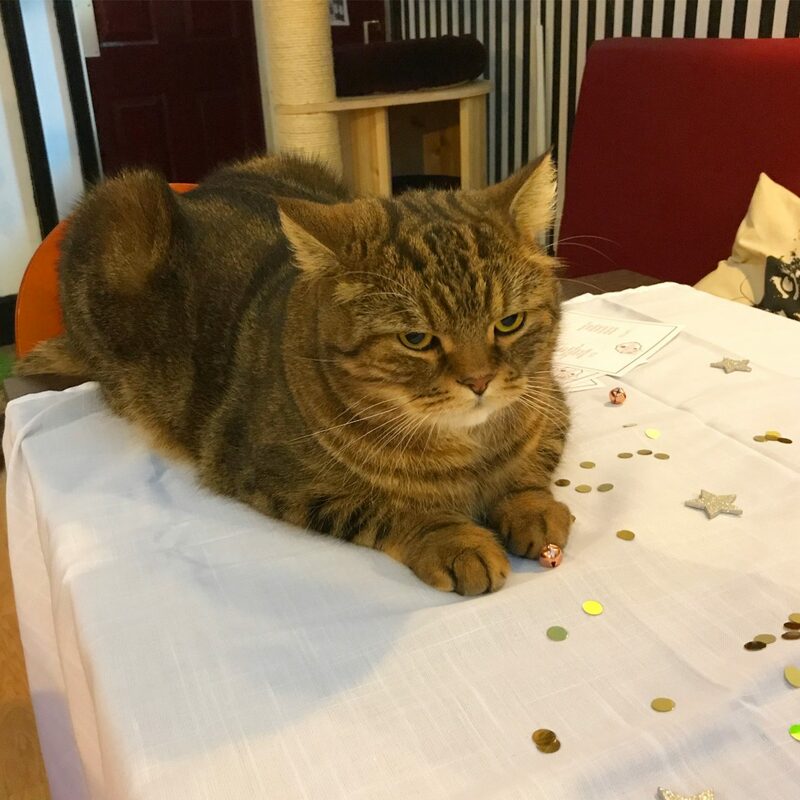 Thank you so much to More Th>n and Lady Dinah’s Cat Emporium for hosting this fabulous festive craft event. Boo is looking forward to December now.